From humble beginnings 19 years ago as a small yet creative IT security company helping businesses gain control of their digital information, AVeS Cyber Security is stacking up impressive accolades and earning the respect of industry heavyweights as a leading provider of comprehensive information security, IT infrastructure architecture and governance solutions. In 2017, the company has won no less than nine awards from some of the world's top technology vendors, indicating competency, strength, innovation and robustness in an industry that is fast growing in complexity due to evolving challenges such as ransomware, advanced targeted attacks and the Internet of things. Amongst the accolades AVeS Cyber Security has earned this year include DCC's Dell Top Enterprise Reseller Award for 2017, and the Kaspersky Lab SMB Partner of the Year Award for Southern Africa 2017. 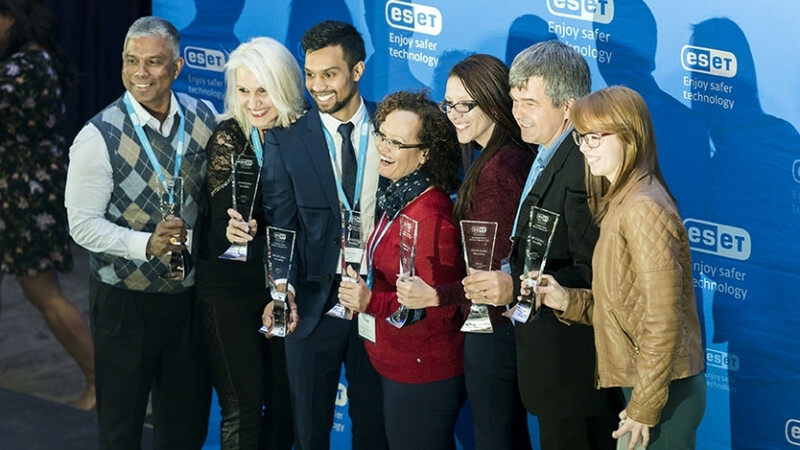 AVeS Cyber Security was also the most celebrated ESET partner in South Africa, receiving seven national and regional awards, which was the highest number of awards presented to a single ESET partner this year. In November, AVeS Cyber Security was a finalist in the prestigious Microsoft Data Centre Partner of the Year programme. "We are tremendously proud that AVeS Cyber Security, as a South African born and bred business, has earned the respect and recognition of some of the global IT security industry's veterans," says Charl Ueckermann, CEO at AVeS Cyber Security. Commenting on AVeS Cyber Security being ESET's most acknowledged partner in 2017, ESET CEO Carey van Vlaanderen, says: "At ESET our partners play a key role in the successes we've had along the way, and so it makes us particularly proud to be witness to the true success of AVeS. Their achievements can be attributed to steely determination, commitment to customer service excellence and the advanced product and industry knowledge of AVeS Cyber Security's highly capable team." Over the past 19 years, AVeS Cyber Security has strategically honed its solutions and services to help Southern African businesses future-proof their IT environments against the constantly evolving threat landscape while achieving their digital transformation aspirations. The company has provided focused IT security solutions since inception in 1998, later including infrastructure, corporate governance, business applications and managed services to its offering. The company continues to strive towards building the industry's leading portfolio of professional services, products, and training in security, infrastructure, and availability solutions. "Today, we are a premier partner to a number of software vendors. We pride ourselves on an out-of-the-box approach to many tricky situations in which businesses find themselves daily. We adopt a multi-phase approach to technology that, coupled with a keen awareness of companies' specific cost and risk issues, leads to security compliant solutions that really work. Our attention to detail is evident in our exponential growth over the past few years. AVeS Cyber Security is trusted by more than 500 clients in the government, manufacturing, and financial services industries within Southern Africa. There is certainly no greater stamp of approval than the votes of confidence from our clients." In 2014, AVeS Cyber Security established a training academy to develop crucial skills in the industry, which like many industries, is experiencing a shortage of appropriate skills and expertise. Within its own ranks, AVeS Cyber Security places keen emphasis on the ongoing development of its people to ensure continued growth in their technical abilities as well as encourage analytical, creative and entrepreneurial thinking. "Developing, nurturing and retaining these skills is key to our success and ongoing growth in a market plagued by a widening skills gap. In this industry, you have to eat, sleep and breathe what you do. Over the past five years, we have succeeded in growing our sales revenue and staff complement by 35% year on year. "Although we are a IT architectural and governance business, we are firstly a people-centric enterprise. We refer to our team as the 'A-Team', which is a quality standard in expertise against which we measure ourselves. It is also a cultural ideal that we believe promotes collaboration and encourages innovation. We expect the 'A-Team' to grow by an additional 40% over the next six months to ensure that we have the qualified resources and capacity to support the AVeS Cyber Security growing client base. It is our objective to be "The most favoured IT architectural and governance company in Africa" says Ueckermann. He concludes saying: "We are excited by the challenges and opportunities that the world of technology provides. These have certainly inspired, and will continue to inspire, our continuing innovation."